The dark blue ocean waves envelopes the surfer on the orange-red surf board. The surfer is riding the wave and you can see his passion for surfing in this image. 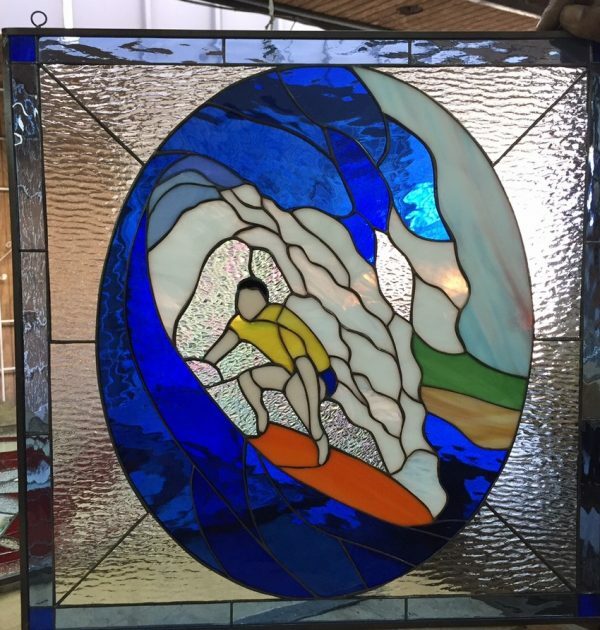 This surfer stained glass surfer panel is a stunning take on a surfer’s life. 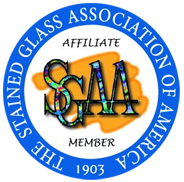 The colors and the imagery stand out and will have you feeling as if you are actually watching the surfer live. 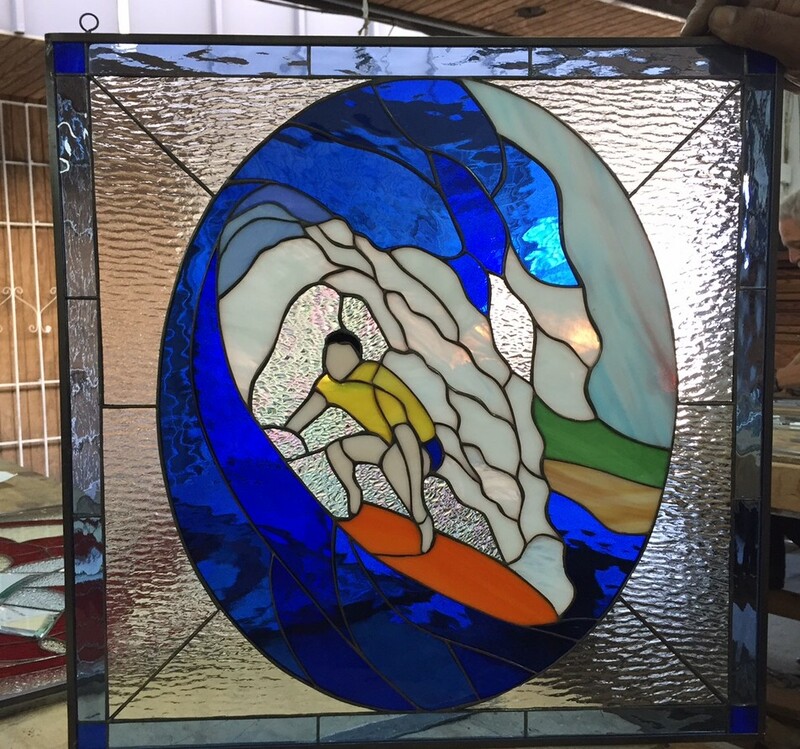 Perfect for any surfing or beach themed home or business. The rush of the waves with opalescent hues cresting overhead are what a surfer lives for. 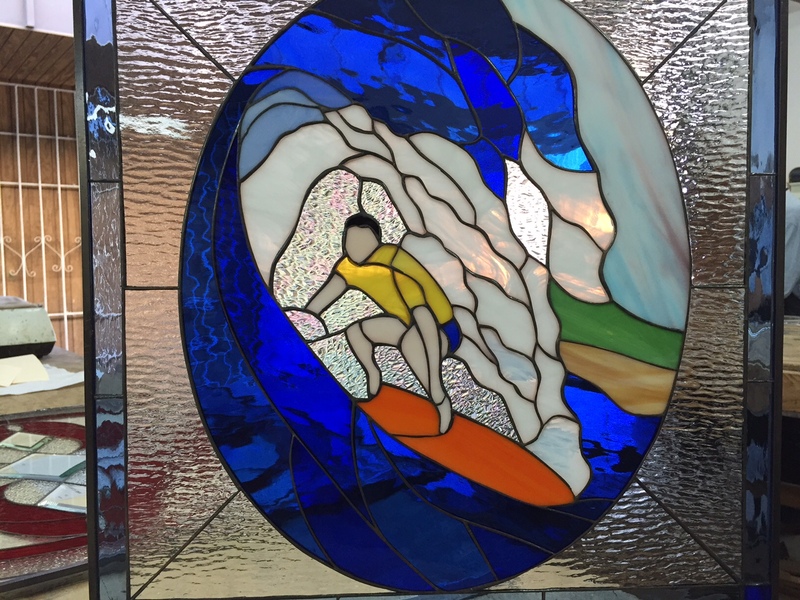 That thrill and rush of awesome can bring your favorite sport to life in our “Blue Room” leaded stained glass surfer panel. Riding a huge wave to shore, it captures the essence of surfing for its artful beauty and form, a harmony of nature uniting in one perfect moment.